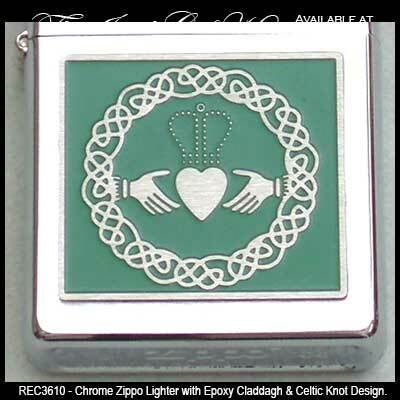 Zippo Claddagh Irish Cigarette Lighter with Celtic Knots. 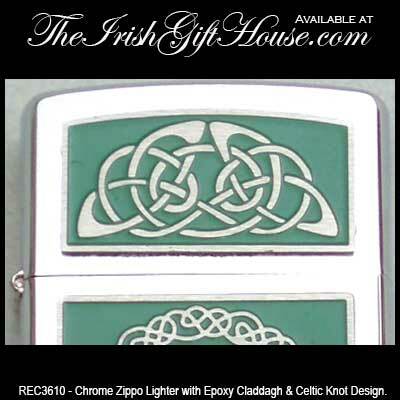 This Chrome Zippo Cigarette Lighter features an Epoxy and Chrome Claddagh and Celtic Knot Design. Gift Boxed with the Claddagh Legend and the Celtic Knot History.